in search of Romanesque shades part 4 – RV Cheaper! 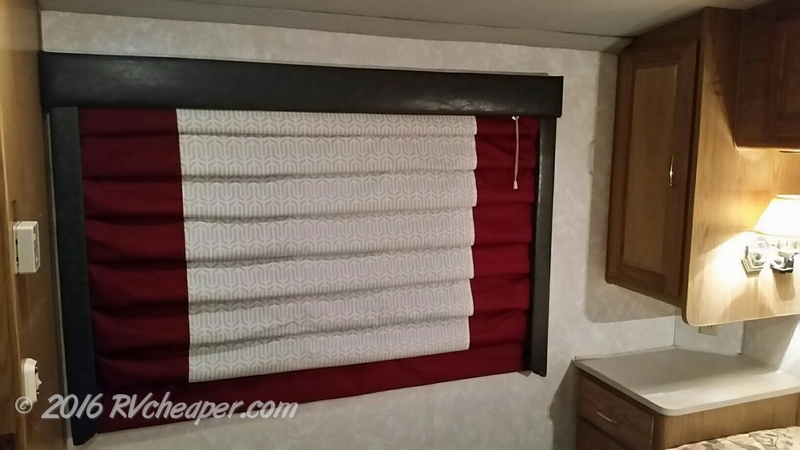 February 23, 2016 RV Cheaper! Rome wasn’t built in a day and neither were our Roman shades. We really thought we would be finished making and installing three weeks ago but we missed that target (life and mother nature always have other plans). 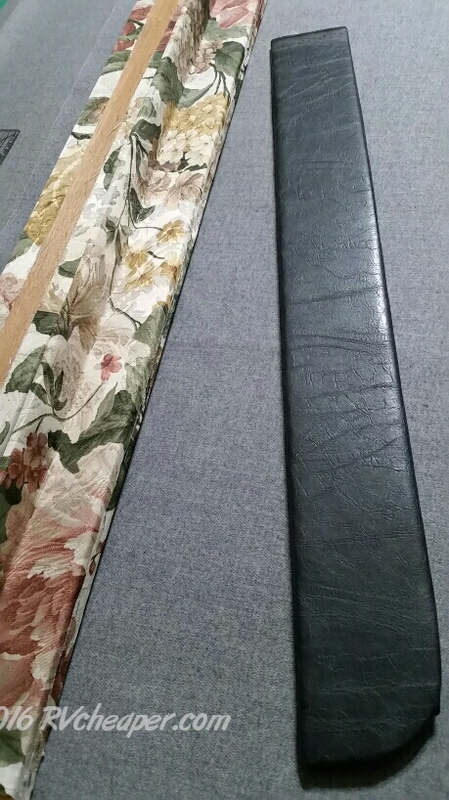 Sunday turned out to be a quiet day so we got back at it and not only did Alice finish the third Roman shade, we also recovered the three valances! 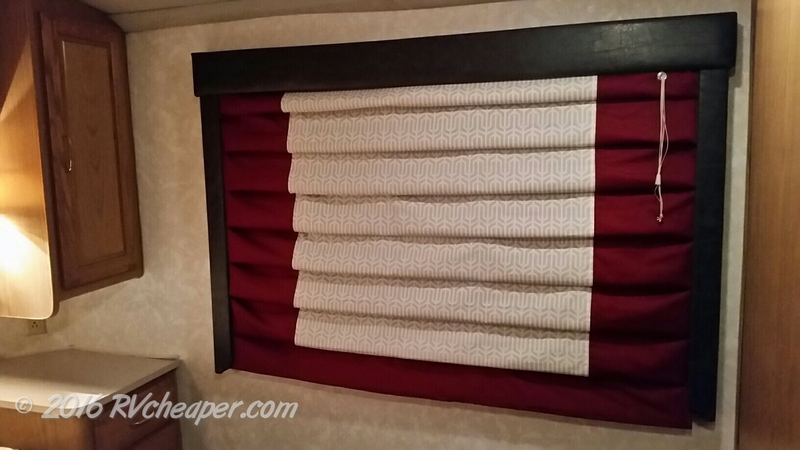 I thought for sure I would be installing next weekend but Alice was quite anxious to get them in so we brought the RV home and installed all three shades Monday night, it actually went much easier and faster than I expected. 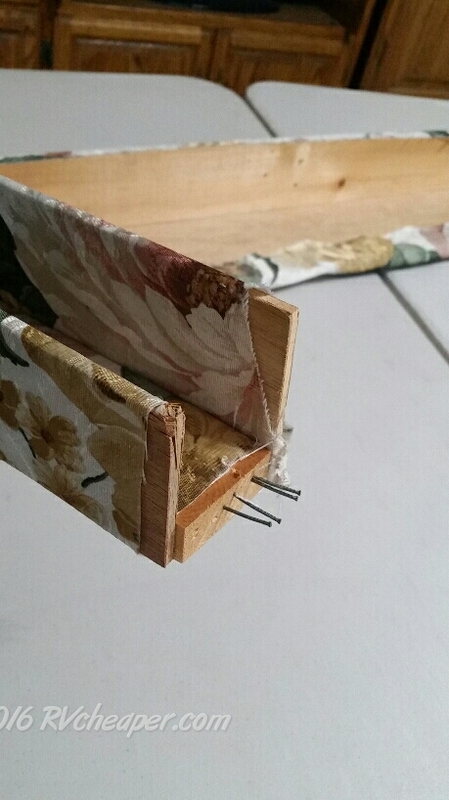 We had to disassemble the valances to be able to re-cover them, I really dreaded it but we decided to get an electric brad nailer and that’s a tool I should have bought 15-20 years ago! Once we removed the old brads, stapled on the new material, the nail gun made quick work of reassembly! The new gray vinyl stretched and stapled in with no fuss, no muss! This worked much easier than I could have imagined! Most of my projects are loaded with unexpected problems, what a relief! The drivers side shade in place! 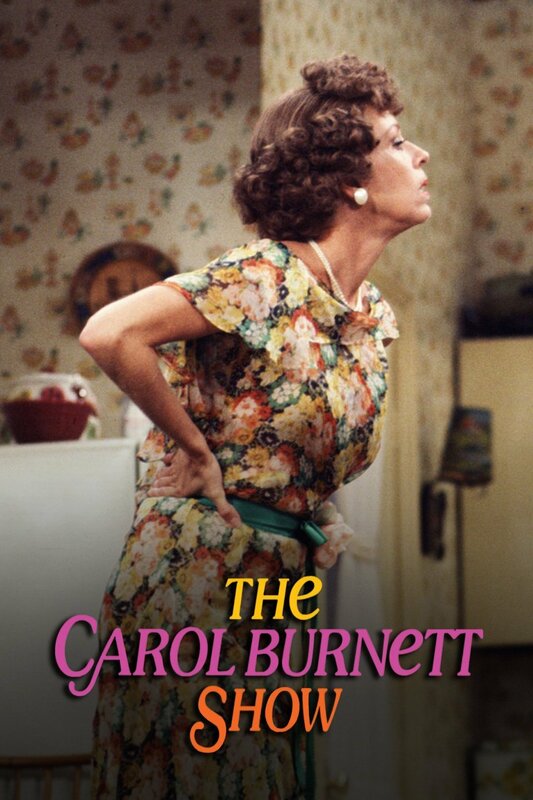 The original, looked like a Carol Burnett dress! Don’t believe me, click on the photo! The passenger side installed, whoo hoo!